Iron deficiency is the most common nutritional disorder in which there is a depleted and a restricted supply of iron to various tissues which becomes apparent. Anemia is a condition that develops when blood lacks enough healthy red blood cells or haemoglobin. According to WHO anemia affects the lives of more than 2 billion people globally, accounting for over 30% of the world’s population which is the most common public health problem particularly in developing countries occurring at all stages of the life Cycle. Iron deficiency is the most common nutritional disorder in which there is a depleted and a restricted supply of iron to various tissues which becomes apparent. This may result in depletion of Hemoglobin and iron-dependent intra- cellular enzymes participating in many metabolic pathways. Therefore, there is the need for proper management of micronutrient deficiencies most especially irons deficiency. Over the years, medicinal plants have been recognized to be of great importance to the health of individuals and communities. In many developing countries, herbal medicines are assuming greater importance in primary health care. 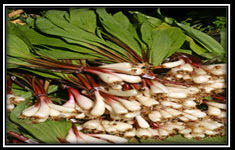 In the present study, the goal was to evaluate the anti-anemic activity of fruit of Allium tricoccum against phenyl hydrazine induced anemic rats (Mohan, 2005; http://www.who.int/topics/anaemia/en/ cited: 25-08-2017; Tortora, 2015). The fruits were collected, shade dried and then converted into coarse powder. The powder was then filled in a Soxhlet apparatus for extraction by 70:30 hydro-alcoholic as a solvent. 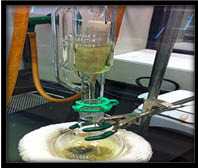 The Hydro-alcoholic extract was concentrated by vacuum distillation to dry. The collected extract was stored in suitable container and used for further pharmacological studies (Khandelwal 2013). Wistar strain male albino rats, weighing 100–150 g were selected for the study. The animals were housed individually in polypropylene cages under hygienic and standard environmental conditions (22 ± 3°C, humidity 30–70%, 12 h light/dark cycle). The animals were allowed to have stan¬dard feed and water adlibtum. They were acclimated to the environment for one week prior to experimental use. All the animal testing were done under the approval of Institutional Animal Ethical Committee (IAEC) of Modern Institute of Pharmaceutical Sciences, Indore the approval no. is IAEC/MIPS/01/2017/01 (Hussain et al, 2017). Following the injections, rats were divided into five groups of six rats each. Group I-Control rats received 0.1% Carboxy methyl cellulose. Group II-Phenyl hydrazine treated rats (60 mg/kg per day for 2 days). Group III-Phenyl hydrazine treated rats with Vitamin B12 per day for 28 days. Group IV-Phenyl hydrazine treated rats with a single dose of fruit extract of Allium tricoccum (100 mg/kg) per day for 28 days. Group V-Phenyl hydrazine treated rats with a single dose of fruit extract of Allium tricoccum (200 mg/kg) per day for 28 days. On 29th day, the blood was collected in EDTA coated tube under by tail puncture under phenobarbitone (45mg/kg, ip) anaesthesia. The estimation of various biochemical parameters like Haemoglobin, RBC and percentage Haematocrit were evaluated. Data’s were expressed as mean ± SEM. The data were analysed by using one way analysis of variance (ANOVA) followed by Dunnet’s ‘t’ test. P values < 0.05 were considered as significant (Joshi Ankur et al, 2017; Joshi Ankur et al, 2017, Gupta Deepanshu et al, 2018).